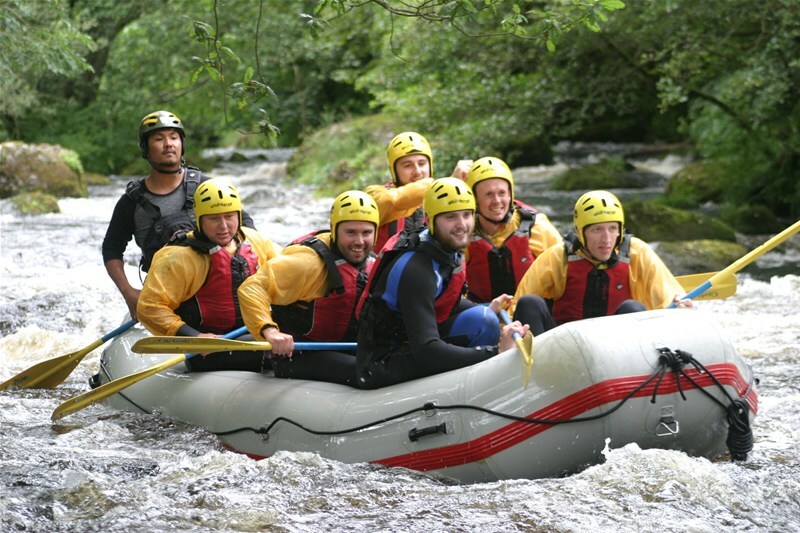 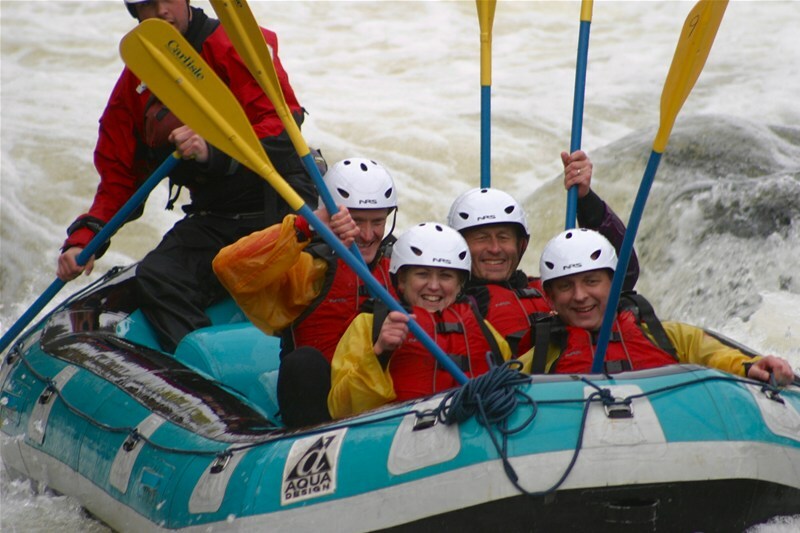 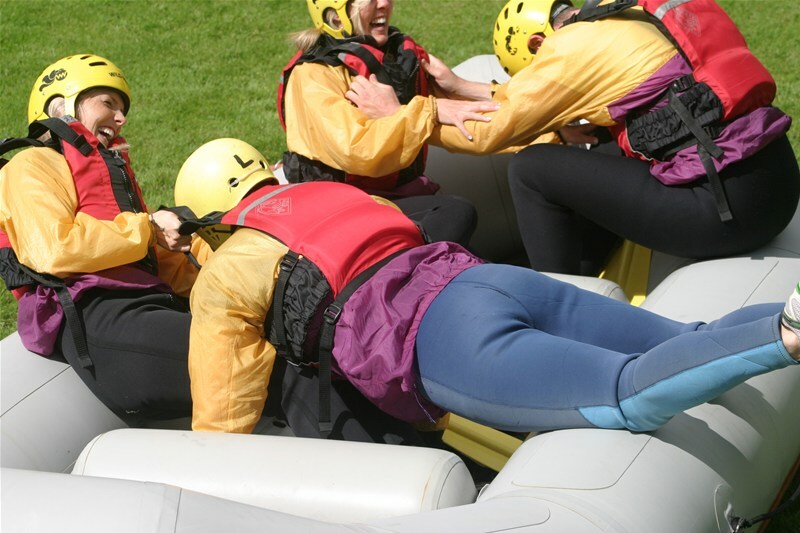 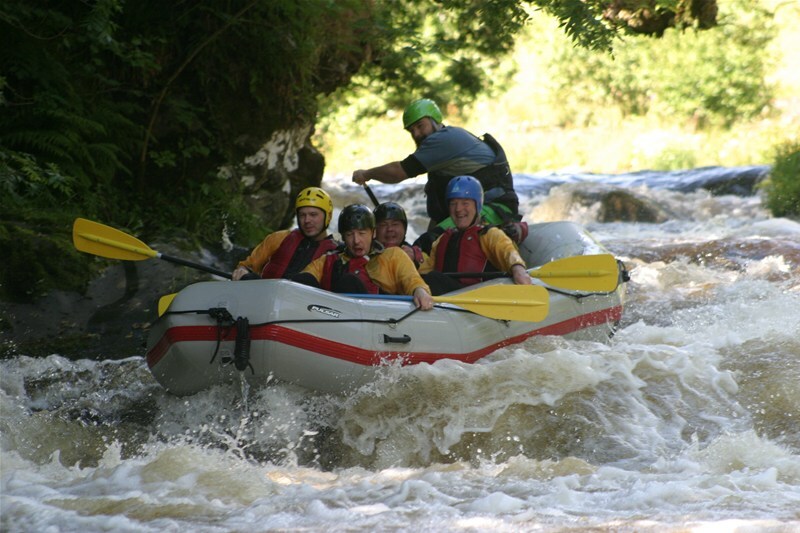 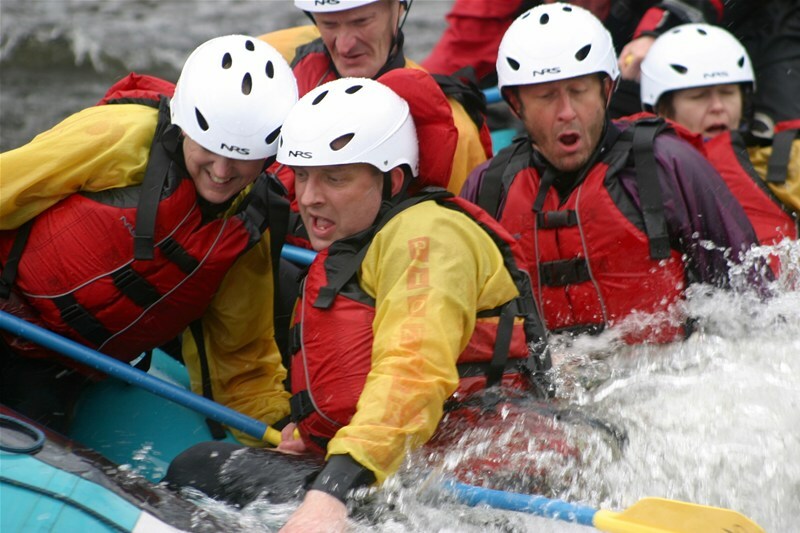 Here in North Wales we have some of the best rivers in the UK to raft on and we believe we raft on the best stretch of the best river in North Wales, 4 miles of unspoilt natural river with it's biggest drop right at the end to give you the thrill of your life! 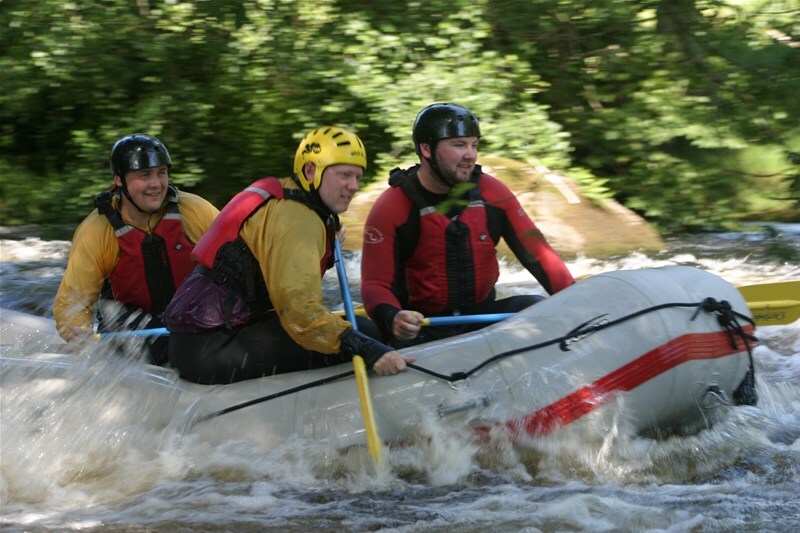 Putting in at the top of the river leaves a rafting journey of 4 miles in front of you. 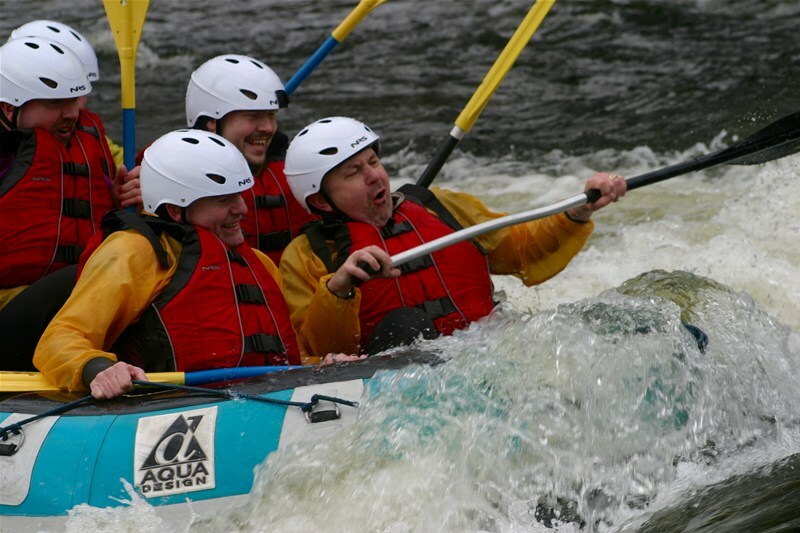 It's a steep, rocky course and the river is classed as a grade 2/4. 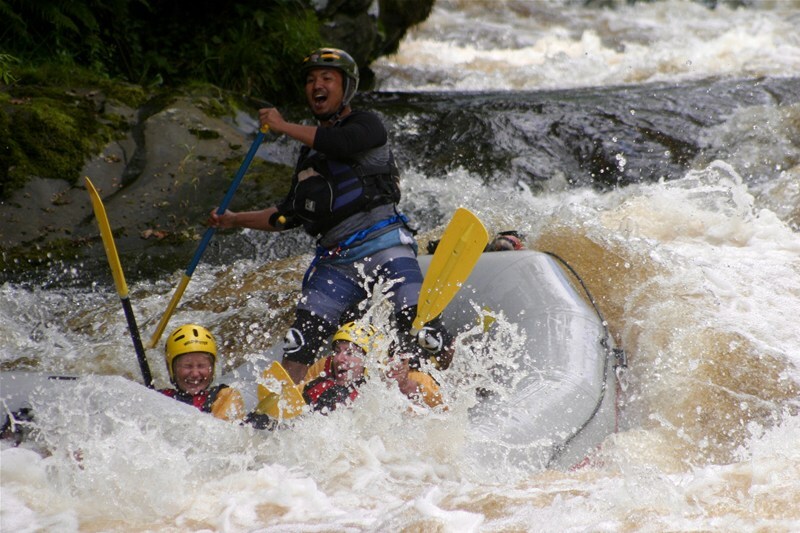 (This is a Worldwide accepted rating that grades the technical difficulty of rapids on a river. 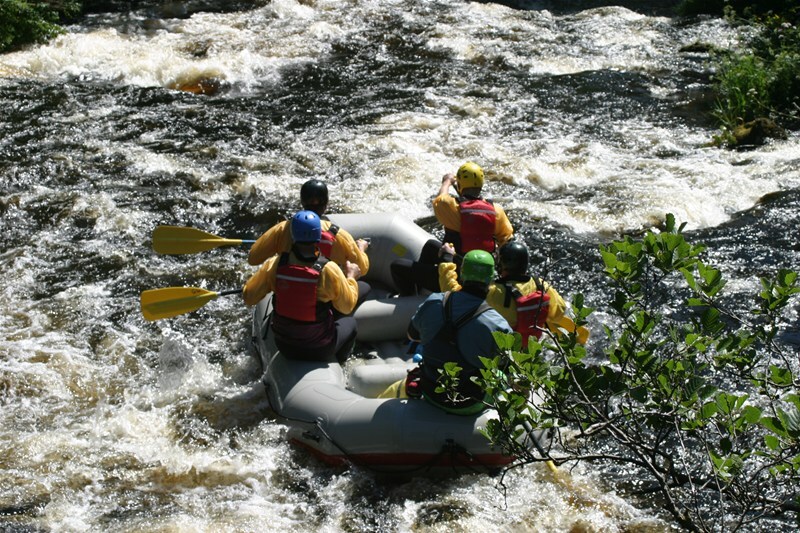 Grade 1 is gentle flowing water, and grade 6 is considered commercially un-runnable). 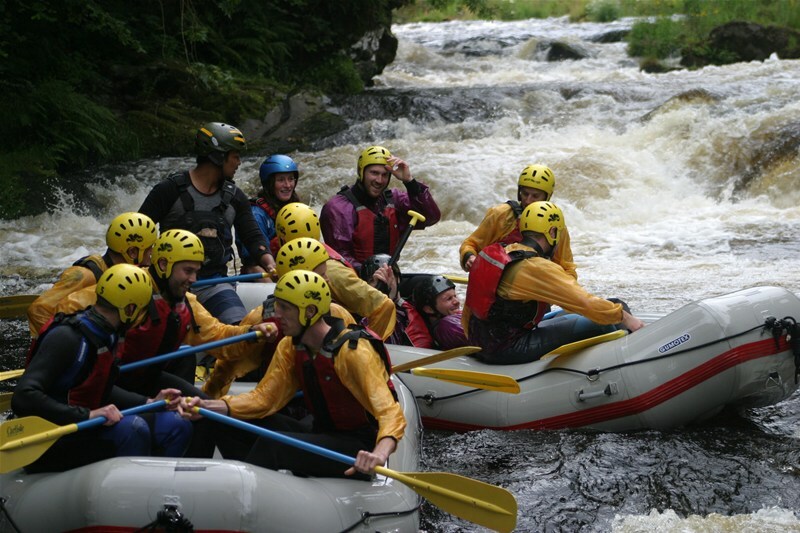 You will put onto the river after a full safety brief with your guides. 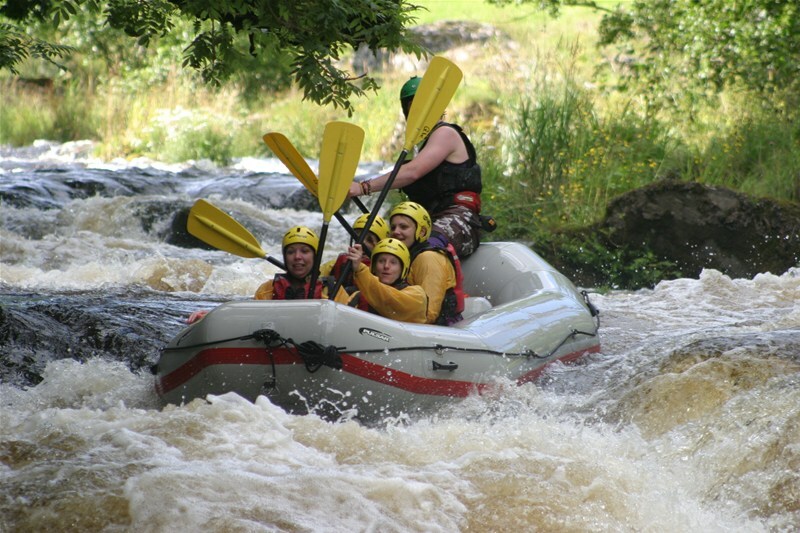 The river gradually builds through rapids like "Long left" and "Bouncing Rock" on it's way towards Bala. 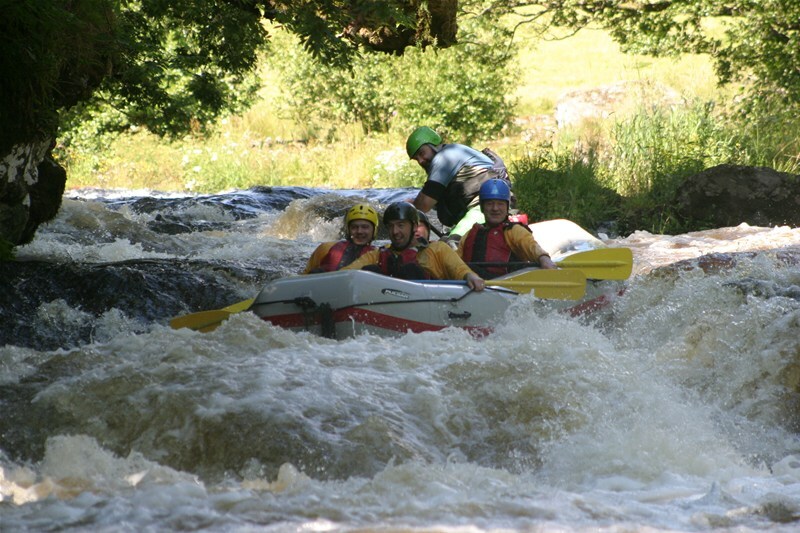 You'll pay a visit to "Dump Truck Eddy" and your trip will culminate with a descent of "Bala Mill Falls" the biggest drop on the entire river!